An iCloud backup extractor is an application or software specially designed for iDevices to assist users in retrieving lost or deleted files from iTunes or iCloud. It makes a copy of the file on your Windows or Mac book. With growing concerns about privacy and data loss coupled with our ignorance some times, we tend to lose important data. Data recovery salvages inaccessible, lost or corrupted data from storage devices including electronic devices such as your phone or tablet. The following are 7 top-rated iCloud backup extractors available in the digital market. The list gives out the pros and cons of each system so that you can choose the one that fits your requirements perfectly! Joyoshare iPhone Data Recovery is one of the best iCloud backup extractors that have been developed till date. It is unsurpassable in its efficiency and smooth sailing features. 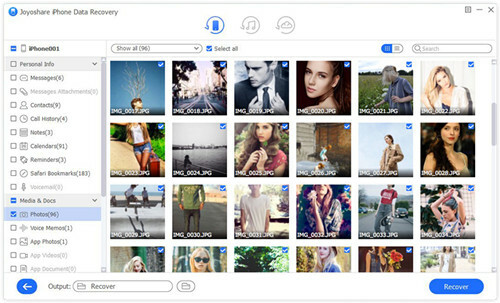 You can use Joyoshare to easily recover lost and deleted data on different iOS devices from iCloud backup securely. And also save files from various data loss phases including upgrade failure, device damage, forgotten password, jailbreak failure etc. Joyoshare iCloud Backup Extractor supports more than 20 different files types including the basic and advanced file types. The iCloud Control Panel is the most basic, and traditional way of retrieving and or extracting data from an iDevice. It has a simple step by step method which anyone can follow and you can extract data from a web browser. Since it works on the web browser and not through a particular software, if might not have a lot of extraction feature. Nevertheless, it is one of the best free iCloud backup extractors available out there. Leawo iOS Data Recovery is another best iCloud backup extractor that has entered the digital market for users to extract their lost data from an iOS device. The software helps access 12 file types from an iPhone, iPad and iPod Touch. You can access and restore data from iCloud and iTunes backup to your computer. 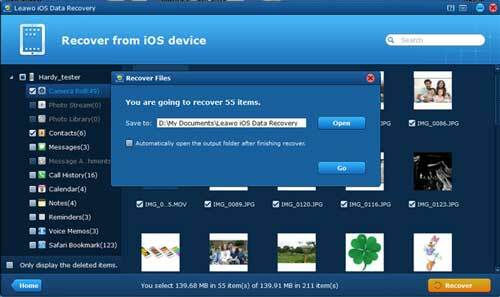 iMyFone D-Back iPhone Data Recovery is a desktop software that helps in extracting data from both iTunes and iCloud backup on your iDevices and thus recover lost data. This software though not entirely free, is one of the best iCloud backup extractors in the market. The custom download of file types throughout iCloud and preview based downloading feature adds to this systems quality characteristics. Its quick and organized way of helping the user makes it stand out in the crowd. iMobie PhoneRescue is another good iCloud backup extractors available on the internet. This iCloud backup extractor is special because it is created by an Apple certified developer. Its user emphasized interface and smoothing usage with a guided tour of how it works really helps the user make the best use out of the software. The software is available for free download both on Windows and Mac computer. EaseUS MobiSaver is also available in the application version for both Windows and Mac systems. 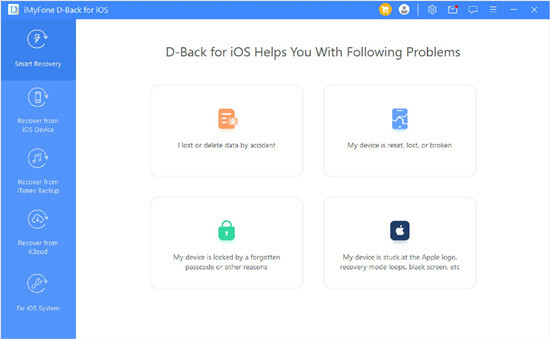 EaseUS iCloud Backup Extractor helps Apple users get back lost data and old deleted files from iCloud backup, iTunes backup and iDevice itself. 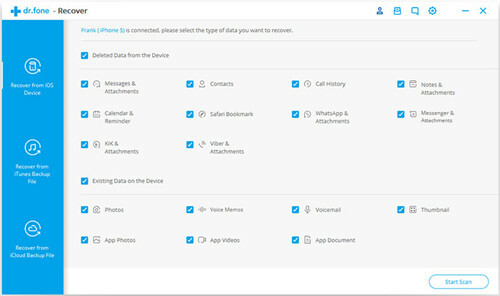 With this program, you can recover lost or deleted contacts, text messages, call history and many more in an easy way. Wondershare Dr.Fone has to be another best iCloud backup extractor that is there in the digital market space. 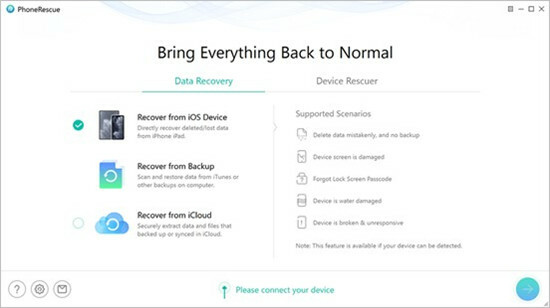 With all three methods of recovering data, Dr. Fone is available both for Windows and Mac desktops to help recover lost data from iOS device, iTunes backup and iCloud backup. 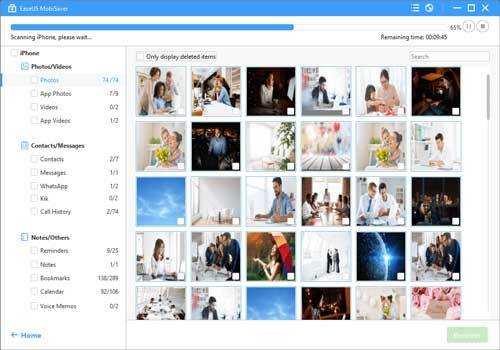 The tool can retrieve many kinds of missing files such as photos, videos, call history, messages, etc. With this, we've listed the top 7 iCloud backup extractors that are available for your reference including best free iCloud backup extractors as well. The article aims at providing genuine and unbiased reviews of the systems available for data recovery. With the coming of age and advancement in technology, it's not necessary to have a Macbook to be able to recover lost data from an iDevice. 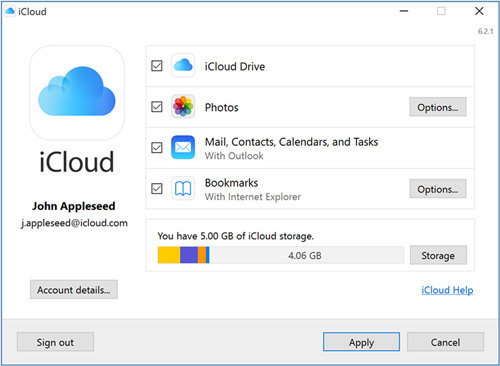 You can now do that by installing iCloud on your Windows PC as well! Moreover, having a recovery application or software is always a good idea to prevent issues from happening. Best to have a cure to issues.